Chris returns has just finished a run at the Edinburgh Fringe Festival with a brand new show, Chris Cook: Chance and an updated version of his hit show Chris Cook: Concealed. Chris is on tour in Europe throughout March. Chris Cook takes a break from the big stage to treat you to an intimate peek inside his imagination. 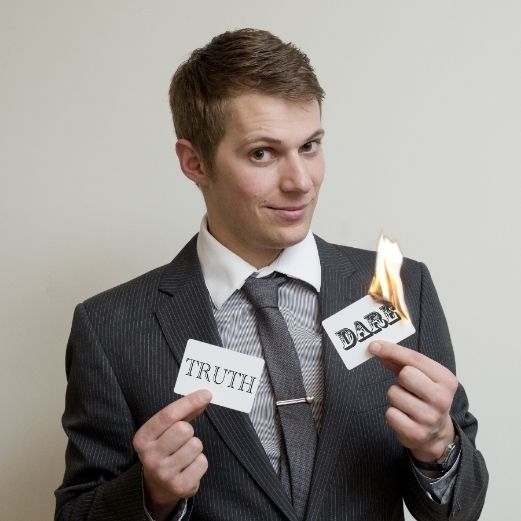 Concealed is a hilarious close-up magic show in a cosy venue with audience interaction in abundance! Chris Cook hosts a night of the best magic from all over the festival on one of PBH's nicest stages. Acts in the past have included Charlie Caper, Dave Alnwick, Laura London, Griffin and Jones, Ava Beau and many more. "The best magic show at the Edinburgh Fringe 2017"
"An hour that will amaze and delight with a poignant and brave finale that will leave you thinking well into the night"
Chris Cook thought he was in control of his life. Then, on New Years Day, he lost control of his car at 80mph. In that moment, it seemed like the space between life and death was decided by little more than luck. This show challenges the audience to step outside of their comfort zone and to face their fears head on. This is more than a magic show, it's an interactive experience. 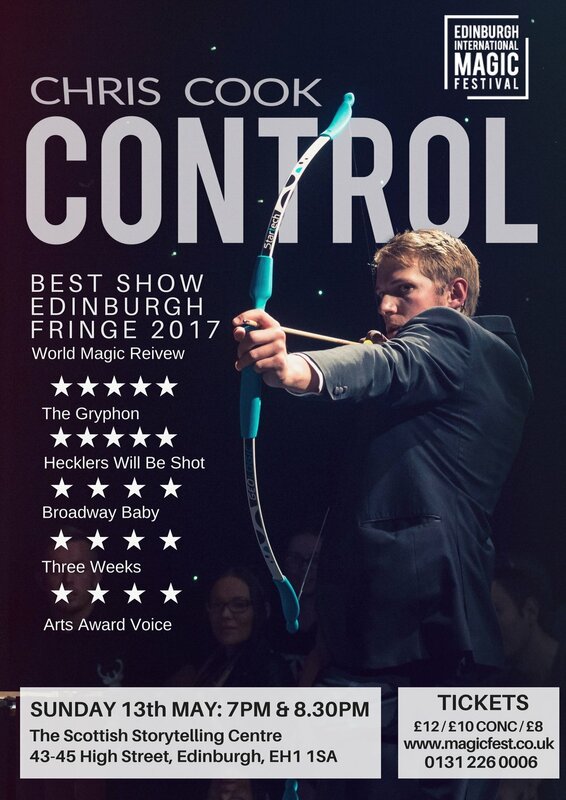 Control was a hugely successful show, loved by critics and audiences. it played for a month in Edinburgh before doing various tour dates in Ulverston, Bristol, Vienna and London. CHRIS COOK LIES FOR A LIVING. ALL HIS LIFE HE'S SPUN A WEB OF DECEPTION. BUT THE THING ABOUT LITTLE WHITE LIES IS THEY HAVE A TENDENCY TO CATCH UP WITH YOU. THIS YEAR CHRIS LAYS HIS SECRETS BARE AND SHOWS THE AUDIENCE BEHIND THE MAGIC. "With breathtaking tricks and charming comedy, Chris's performances weave together a story set to pull at your emotions and challenge your perceptions"
Sold out every show at Edinburgh Fringe Festival 2014! A tender tale of bittersweet love told through the eyes of a conman. A funny, touching show from an award-winning young magician with an original style and quick-witted charm. Expect a cheeky, fast-paced show full of laughs, mischief and surprises as Chris explores the strange similarities between love and magic. A packed out Voodoo Rooms at the Edinburgh Fringe Festival 2014. Chris Cook has been one of the most successful magicians at the Edinburgh Fringe Festival in 2014, 2015, 2016 and 2017. Chris can provide bespoke stage shows that will stun and amaze your guests. The show can be adapted to fit almost any venue and audience size and can take ten minutes or be a full hour long show. If you are looking for a cabaret performer or comedy act for your event, Chris is the perfect entertainer to liven up your evening. If you would like a headline magic show for your guests, Chris can perform part, or all, of his hit Edinburgh Fringe Festival shows.